Major course redesign happening in front of a live student audience has Connectedness staff preoccupied. Regular blogging will resume shortly. I often get asked about network mapping software. I switch back and forth between several programs depending on what I want to do. For most, I usually recommend NetDraw. However, for those wishing to make very simple maps, another excellent choice is Visone. You can easily run Visone with the "webstart" option available here. Once you have it running, the picture below hints at how easy it is to (1) give yourself a starting set of nodes by creating a "random" graph with no edges, and (2) use "edit mode" to make your nodes look as you wish and add edges between them. Then you can use "analysis mode" to drag nodes around and try different automatic layouts, etc. I use Visone to make all the illustrations in my Introduction to Network Mathematics, but I don't use it for consulting because it is licensed only for non-commercial use. I attended a talk recently about computational sociology and data mining. The speaker began with a claim that technology is never policy-agnostic but almost always advocates for some policy or other. Half-way through the talk, someone referred to the impressive array of technology employed by the speaker's research and asked what policy that technology was advocating. The speaker deftly avoided the question by raising policy questions without answering any of them. He was policy-agnostic, you might say. In such situations (and many others), it is a safe bet that the policy being advocated by the technologist is "I deserve your respect, money, and/or votes." The best case I have seen for this argument was put forth by Robert Thomas in his book, What Machines Can't Do, which I originally mentioned here with respect to user-driven innovation. One more week before classes start. In preparation, I am improving my online Introduction to Network Mathematics, which you will now find at http://webmathematics.net. Along the way I am learning how to be dangerous with Adobe Creative Suite 3 Web Premium, a massively juicy collection of software that I have acquired as a concession to my students, who generally consider set theory and eigenvectors to be dry. With the URL "http://webmathematics.net," I am tipping my cap to Tim Berners-Lee and gang over at http://webscience.org. Their work can be summed up by the picture at right. I plan to integrate their "Framework for Web Science" with my own course as much as I can. The fact that they are writing for fellow PhDs and I am teaching non-technical college freshman makes this integration non-trivial, to say the least. "In my view the gravest weakness in the organization of modern science is the lack of systematic exposition of the consensus at the stage between [scholarly] review article and the undergraduate textbook." You can find the above quote in Ziman's 1968 monograph, Public Knowledge ("An Essay Concerning the Social Dimension of Science"), specifically in the chapter "Community and Communications." I just finished reading Group Genius by Keith Sawyer, and can't thank Robert Rasmussen of Lego Serious Play enough for recommending this book to me. My favorite part of Group Genius is the gushing review on the back cover by management guru Ori Brafman (of Starfish and Spider network fame). Brafman says, "Sawyer has completely changed how I think about creativity." That kind of review buys into the "big light bulb effect" that Sawyer devotes his entire book to dismantling. Instead of big ideas and big light bulbs, Sawyer explains that creativity in fact happens through slow, small, and collaborative steps. Sawyer's enormous collection of endnotes does a great job of reinforcing his well-spun anecdotes with scholarly empirical research. Even so, I think he understates the degree to which his own book is but a well-packaged echo of work done long before. "The invention of a mechanism for the systematic publication of fragments of scientific work may well have been the key event in the history of modern science.... A typical scientific paper has never pretended to be more than another little piece in a larger jigsaw--not significant in itself but as an element in a grander scheme. This technique, of soliciting many modest contributions to the store of human knowledge, has been the secret of Western science since the seventeenth century, for it achieves a corporate, collective power that is far greater than one individual can exert." "Our present system of scientific communication depends almost entirely on [literature with] three basic characteristics: it is fragmentary, derivative, and edited. These characteristics are, however, quite essential." So, while some people may experience revelation upon reading Group Genius (like Ori Brafman), I instead find Sawyer's book to be fragmentary, derivative and edited. But those are exactly the traits that make Sawyer's book so creative and so worth reading. BTW, check out Ziman's bibliography and see how he relies on material published in 1939. My book report on Social Networks and Organizations, by Kilduff and Tsai. Part Two of a Series. 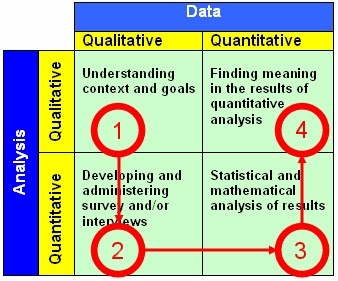 Network research can integrate quantitative, qualitative, and graphical data, allowing more thorough and in-depth analysis. None of these features is well established in traditional approaches in the social sciences." Kapferer's study begins with a preface by his mentor J. Clyde Mitchell, who says, "Kapferer himself has argued cogently that social networks do not by themselves constitute a 'theory'. ... He must go beyond these data for an adequate explanation of the events he is considering." This defuses the network zealotry mention by Kilduff and Tsai in their own book's introduction, and sets up their next chapter: "Is there social network theory?" The actual story observed by Kapferer involves the emergence of organized labor in one particular African factory. As the story opens, the workers are too decentralized to influence management. By the end, the workforce is much more centralized and successfully organizes a strike against the factory owners. I can almost hear Kilduff and Tsai snickering at the thought of management consultants trying to use this case study to sell SNA to some CEO. Everything about the story is backwards from the way we commonly preach networks and collaboration today. The analysis by Kapferer is both strikingly thorough and strikingly ignorant of related research that is easy to see with hindsight. I guess scientists are only human after all. Nohria, N. and Eccles, R.G. (eds). 1992. Networks and organizations: Structure, form and action. Boston, MA: Harvard Business School Press. A broad cross-sectional collection of SNA work. Scott, J. 2000. 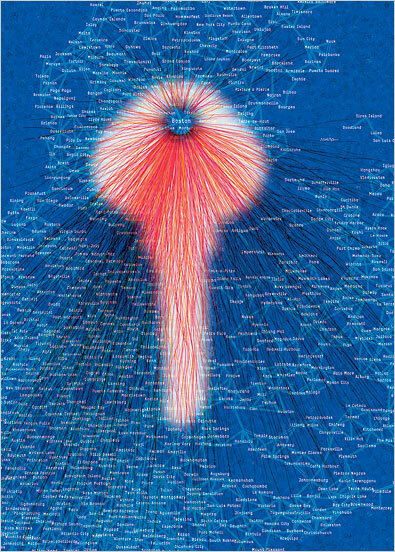 Social network analysis: A handbook. 2nd edn. Newbury Park, CA: Sage. The best SNA handbook available. Doing nothing has given me time to re-read Chapter 2 of Social Networks and Organizations, which I will discuss in a blog post soon. The chapter draws heavily on one particular case study, Strategy and transaction in an African factory, by Bruce Kapferer. This is no ordinary case study, but in fact a 366-page book published in 1972. Doing nothing has given me so much time that I tracked this book down. The effort was definitely worth it--it was my first time checking out a book with my BU faculty ID. I get to keep the book for five months. I used to think three weeks with the option to renew was powerful. Now I am master of the library universe. I may not read Kapferer for four months or so, just to enjoy thinking about the poor students who are waiting to get their hands on his book. And, there are only two such networks presented in the whole book: one "before" and one "after." Click on the image above to see more detail and re-live 1970s typesetting. I am on a mini-hiatus, defined most notably by ignoring my email. Reading Tao Te Ching provides lots of moral support for doing nothing. The world will survive a few days of my not fixing its problems. Not everyone likes this philosophy. Here in Massachusetts, a new law that mandates health insurance for all residents has been widely publicized on TV with the catch-phrase: "Ignoring a problem never made one go away." Those seeking a counter-argument to this credo should read Lewis Thomas (Dean of Yale Medical School, etc., etc.) who in Lives of a Cell wrote an essay "Your Very Good Health," which he summed up near the end by saying, "The great secret... is that most things [i.e., health problems] get better by themselves." Digging up Thomas' classic collection of essays has given me lots of other food for thought that I can share later, when I am back to doing something. The New England Journal of Medicine reported last week that obesity spreads through social networks. After the initial wave of headlines, I checked it out and was really impressed by the research, done by Nicholas A. Christakis and James H. Fowler. Another gem accompanying this study is the editorial by Albert-Laszlo Barabasi. He points out the multiple levels of networks at play, which include not just social networks but also biochemical networks. 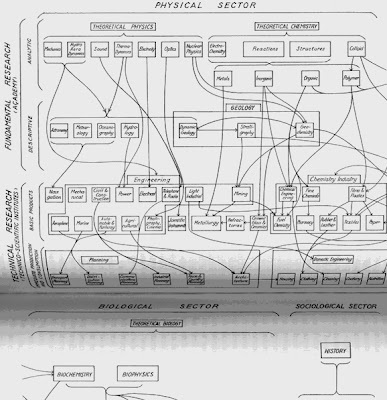 Compare Barabasi's diagram to Peter Gloor's multi-level analysis of business innovation (at right) and you can see why there is actual scientific substance behind work such as Verna Allee's which "uses principles of living systems theory to help companies evolve management thinking." Publicity like this makes it all too easy to go overboard with network science, however. Breck's otherwise solid post concludes, "A key truth the article demonstrates is that social networking is not some oddball result of the emergence of the Internet. Networking principles are deeply imbedded [sic] into the physical and psychological venues, as well as the virtual." I feel rather confident that the authors of the study would be puzzled by Breck's statement; a scan of their paper shows that they are confident enough in the foundations of network principles to use them in their work without any need to get defensive about their analysis. What strikes me most about the study is the off-hand comment at the very end of the movie. We naturally expect obesity and non-obesity to cluster, and they do; however, as the authors note, we also see that obesity takes over the core of the social network and non-obesity moves to the periphery: Is this significant? My hunch is yes, and that there are implications for our health in this core-periphery structure. My book report on Social Networks and Organizations, by Kilduff and Tsai. Part One of a Series. Introduction: Kilduff and Tsai see a big future for SNA, as long as its more zealous fans can get out of their own way. They say, "The potential application of the social network approach to organizations is, in our view, enormous. The full spectrum of organizational phenomena that network thinking can illuminate extends across levels from micro to macro, and includes topics typically covered in fields such as organizational cognition, organizational behavior, organizational theory, and strategic management." However, "The network paradigm is in danger of becoming a victim of its own success--invoked by practically every organizational researcher, included in almost every analysis, and yet strangely absent as a distinctive set of ideas." Kilduff and Tsai do not flinch from drawing a line between successes and failures in SNA research to date. In particular, they comment that effective formation of networks clearly helps individuals; however, "the jury is still out as to whether social capital measured at the individual level does indeed have effects at the community level." In other words, SNA can help me get promoted faster, but does that help my company as a whole? Baker, W.E. 2000. Achieving success through social capital, San Francisco: Jossey-Bass. A practitioner-oriented guide. Baker, W.E. and Faulkner, R.R. 2002. 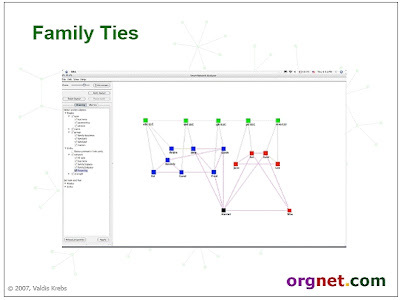 Interorganizational networks. In J.A.C. 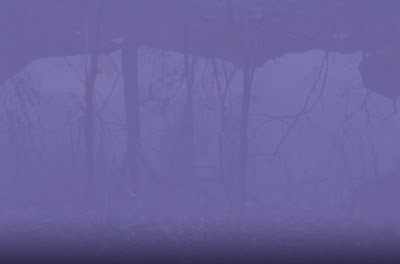 Baum (ed. ), The Blackwell companion to organizations, pp. 520-40. Oxford: Blackwell. A survey of research. Brass, D.J. 1995. A social network perspective on human resources management. In gerald R. Ferris (ed. ), Research in personnel and human resources management, 13: 39-79. Greenwhich, CT: JAI Press. A guide to SNA for HR. Krackhardt, D. and Brass, D.J. 1994. Intraorganizational networks: The micro side. In S. Wasserman and J. Galaskeiwicz (eds), Advances in social network analysis, pp. 207-29. Thousand Oaks, CA: Sage. Survey of SNA research for leadership development and other work attitudes. Powell, W.W. and Smith-Doerr, L. 1994. Networks and economic life. In N.J. Smelser and R. Swedberg (eds), The handbook of economic sociology, pp. 368-402. Princeton, NJ: Princeton University Press. Broad survey of research on topics such as power, communication networks, and networks of production. In July of 2006, the Leadership Learning Community (LLC) awarded a Community Seed Fund grant to explore the use of social network analysis (SNA) and assess its value to those who run, study, and fund leadership development programs. Collective leadership: Community members improved their “big picture” awareness of who is working with whom how they can accomplish more together. Funder-initiated community with formal membership, paid external facilitator and mandatory attendance at meetings. Professional perspective: Community members learned to see their work outside the community in a new way. Community facilitator improved “big picture” awareness. Introduction to new topic: Community members expressed interest in learning more about SNA technology, methods, and applications. In other words, communities under formal oversight gained a lot from seeing themselves through a network lens (instead of the usual "us" vs "the man" lens), while more self-energized communities found the network lens to be less transformational (but still academically interesting). You can read our complete report here, where it lives with other Shared Knowledge and Resources provided by LLC. 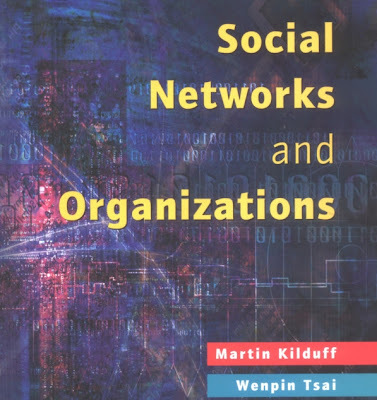 I just put down my new most favorite SNA book: Social Networks and Organizations, by Martin Kilduff and Wenpin Tsai. Content. In the authors' words, "This book reflects our own view of what is important in social network research. Instead of providing just a review of existing research, we have opened up dialogue on a range of new approaches." Then they continue: "We think that debate and controversy are good for social science in that they encourage a more rapid development of theory and research." Readability. As the authors soar over the highlights of social network theory, they trace a clear historical arc with a wry tone that adds up to an academic page-turner. Along the way, they indulge my weakness for polite but merciless deflation of all puffed-up hot-air-bags in sight. I couldn't put it down! Is there social network theory? As I write about each chapter, I will update the list above so that it links to the appropriate posts. Thanks to Frank van Ham, co-creator of ManyEyes and researcher at IBM's Visual Communication Lab, for giving me the title of my next talk: "Social network metrics are for eggheads." I don't know where or when this talk will occur, but that will be the title. Real estate companies are green at the top, godfather/mother are at the very bottom, and intermediaries who own/run the companies are in the middle. Those of us participating in the debate over how best to measure social networks in ways that predict important outcomes (such as revenue, profit, or shareholder value, to name a few) can forget that there are also simpler and less controversial applications of SNA. Valdis' Family Ties picture above is one great example. This research report takes questionnaire usability best practice and online usability in a questionnaire context as the basis for developing usability guidelines for social network analysts who choose to employ online modes of data acquisition. 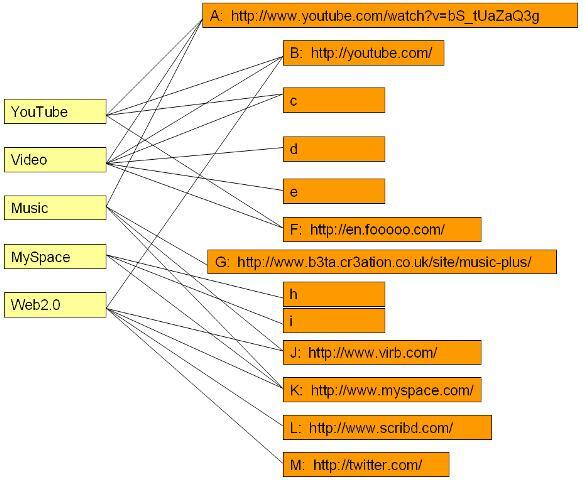 Highlighting the distinct character of network analysis questionnaires, and the opportunities, and potential cost efficiencies, of acquiring network analysis data through online networks, the relationship between usability and communication in the context of questionnaires, particularly the importance of visual design, is considered. The report provides eleven usability guidelines for online network analysis questionnaires ranging from the general to the network-analysis specific. The guidelines are not new or revolutionary, but rather provide a network analysis-specific overlay to general online questionnaire guidelines. Three freely-available, low-cost online survey applications are assessed against the guidelines. You can get the full report here. In celebration of the third birthday of Connectedness (officially Friday but I can't wait that long) and in tribute to the power of networks, I want to honor the dozens and dozens of unhappy Sears customers who have turned my blog into the #1 Sears customer relations website. That's right, if you Google "Sears customer relations" there is only one website ranked higher than mine, and it's the Sears Investor Relations site--a mistake, clearly--so I like to think that my site is the true #1 Sears customer relations site on the Internet. How did this happen? It's all about "harnessing the power of networks," baby! One day I posted a story about a bum refrigerator (with a happy ending no less) and three years later that post has risen through the Google ranks, gathering comments with ever-increasing network power. Now I am host to 31 tales of Sears customer woe (and counting). By the way, that does not include the emails I get regularly on this topic. Within this experience is an important lesson in the reality of "harnessing the power of networks." No matter how well I learn this lesson, though, it fails to soften the sting of knowing that my broken-refrigerator story is the most popular page on my blog by a factor of two. This does not feel like it is burnishing my SNA-guru credentials. Still, it could be worse. Thanks, everybody, for not posting anything illegal on my site (unlike Digg). Connectedness year #4 promises to be our best, most network-harnessed yet! Here's an overview of my numerous related posts on network visualization. The mission of the center is to bring together scholars from different academic disciplines who share a common interest in social network research and application. 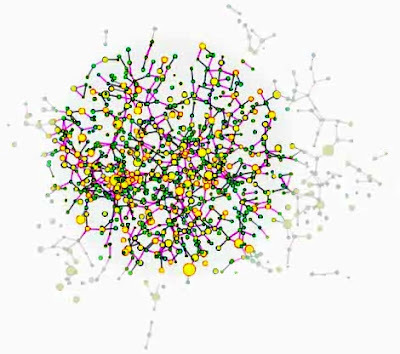 Our overarching goal is to conduct and publish cutting-edge research in the rapidly expanding field of social network analysis; and to serve as a bridge between the science of social networks and real world organizational problems. The core insight of the network perspective is that the pattern of relations among the elements of a system—be they people, organizations, neurons, or computer servers—has important consequences for the system's performance. Some very impressive people have moved to Kentucky to join Dan Brass, including Steve Borgatti, Joe LaBianca, and Ajay Mehra. Keep your eye on LINKS. What does this mean for analyzers of social networks? We work in all four cells. 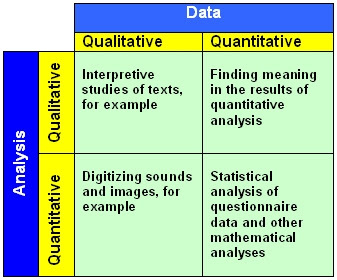 In my experience we tend to move through them roughly in sequence: The only real beef I have with Bernard's discussion is where he says, "strictly speaking, there is no such thing as quantitative analysis of qualitative data." Since he wrote the essay in 1993, before the "digital revolution," I will let him off the hook for suggesting such an impermeable boundary between these two.